Know no boundaries. 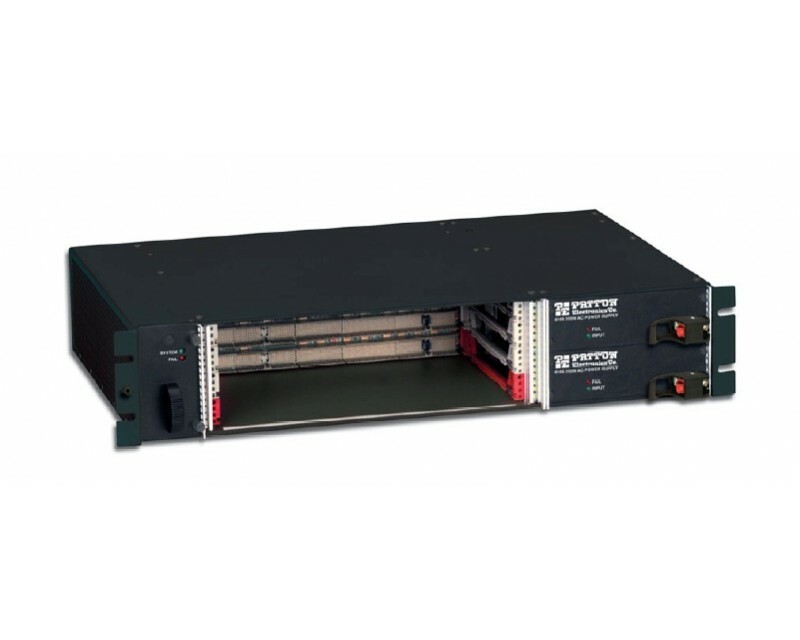 Patton’s ForeFront™ Model 6286 delivers a carrier-class access platform with next-generation network delivery of narrowband, broadband, and multimedia services. Using industry-standard CompactPCI open-systems architecture, the Model 6276 allows deployment of Patton’s TDM, packet, dedicated, and dial-up system cards as well as third-party cPCI resources…all within the same chassis! The ForeFront System offers a robust, reliable solution complete with power distribution, thermal management, and high-speed backplanes. The shelf fits into a standard 19-in. rack. Each shelf has integrated cooling and flexible power options, and boasts 1+1 or N+1 redundancy with AC or DC combinations. The high speed backplane supports a wide variety of multimedia—from TDM nx64 to packet, IP, and cell traffic. Field serviceable hot-swappable components provide high availability while the advanced design avoids single points of failure. Select any combination of system, peripheral, media, trunking, and matrix cards for a total access solution. For network services, choose from a wide variety of system cards—from DSL to RAS; Packet/DSLAM to DACS. For complete flexibility, system cards can be mixed in any combination. ForeFront™ Access Infrastructure Solutions (AIS) support users with solutions that will grow as technology grows.